Thanksgiving is coming and, if we’re being honest, it just might be our absolute favourite holiday when it comes to sharing a meal with our family! We meant that, of course, in the sense that we enjoy sharing time with our loved ones, but we’ll fully admit that we also mean that in terms of the food itself. Some of the very best entrees and side dishes in the whole world get served on Thanksgiving! Now, we’re always big turkey fans, but in our family, it’s really the awesome stuffing that all of our family members bring along that really make the meal. 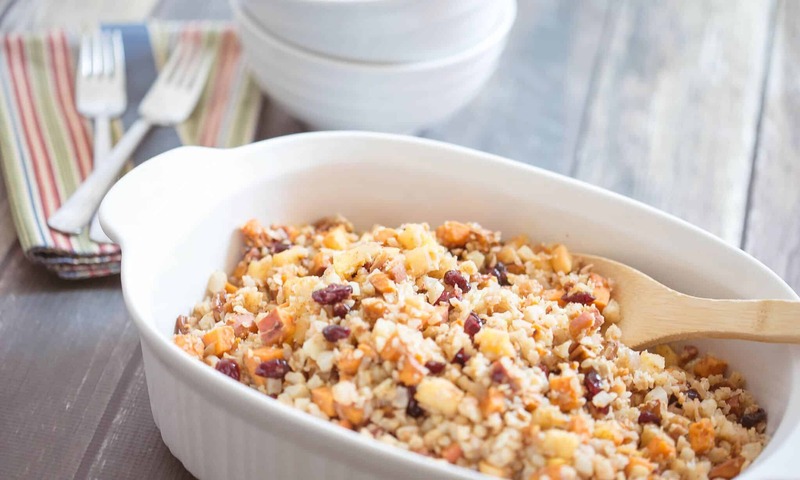 Just in case you’re on the search for some new and especially delicious stuffing recipes to try out this Thanksgiving, here’s a list of 15 mouth watering recipes to help you along! We’re barely resisting make all of them at once for our family dinners at the end of the week. Are you looking for a way to spice up your Thanksgiving dinner just a little bit? Then we’ve found something we think will intrigue you! 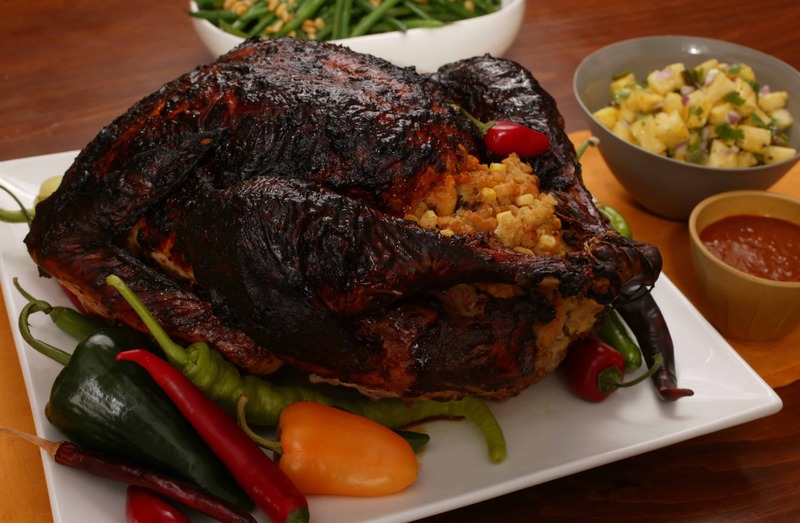 Epicurious guides you through the process of roasting your turkey ever so slightly differently so that it’s got a touch of spice to it. They also help you add some spice to things by making a masa curried stuffing to go inside, as well as by topping things off with a chili gravy rather than your milder classic flavour! Have you always been a huge fan of the whole sweet and savoury trend that’s taking the snack foods world by storm? Well, we can’t say we blame you and, in fact, we love sweet and salty flavours so much that we’ll take any opportunity to incorporate that kind of flavour into our actual meals themselves as well. That’s why we were so excited when we found this amazing sweet and savoury stuffing recipe from Home With Heartland. Perhaps you love stuffing the most of anything on the table (we really do, to be honest), but you’re having many, many guests over because your family is big? Chances are good, then, that you’re going to need more than just the smaller amount of stuffing that will actually fit inside the bird to cook. 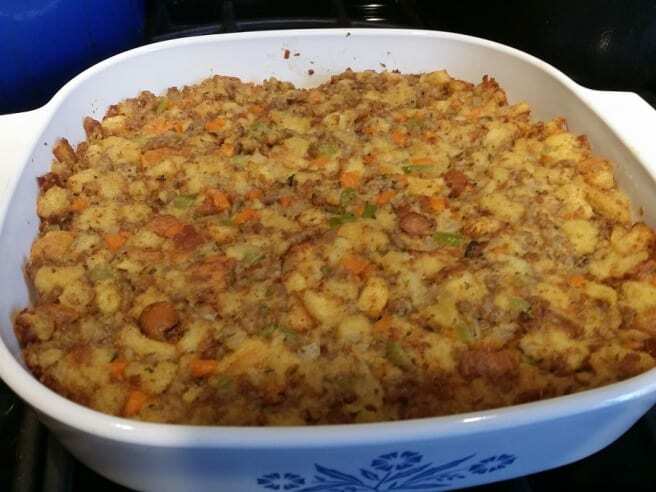 That’s why we sometimes make a more casserole-like stuffing or sweet bread dish! If you’re looking for one that’s a little fancier in flavour to try out this year, here’s a delicious Hawaiian recipe from My Recipe Magic that involves pineapple! Have you always been a nut lover because they add such a rich flavour to just about anything? Then we have a feeling you’re going to love this cauliflower and pecan stuffing from Living Well, Spending Less! As long as no one’s allergic to nuts, we think you’ll appreciate this cauliflower and pecan stuffing, particularly if you’re trying to count your calories even through the holiday or if someone coming to your dinner is gluten intolerant. Do you prefer a stuffing or bread casserole that really gives you that filling, super satisfying bread texture, but you want to make one this year that’s also chalk full of unique flavour? Then Simply Recipes has just the recipe for you! 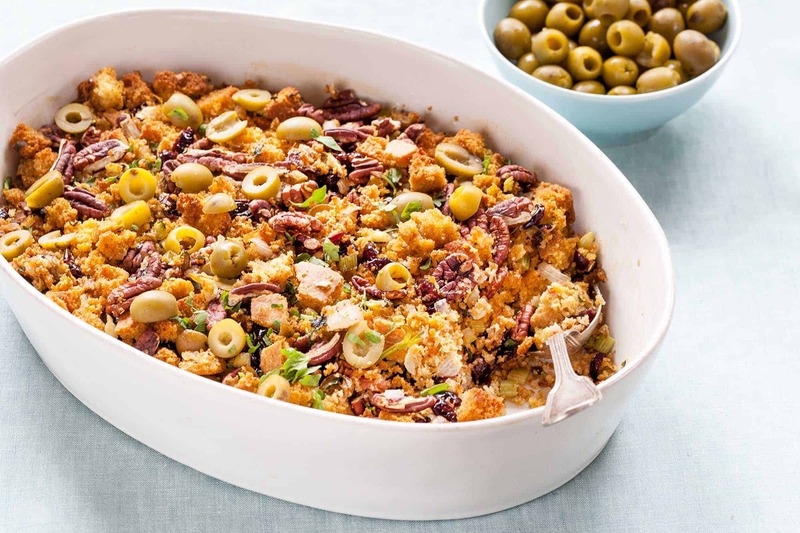 They show you how to make a cornbread based stuffing that incorporates an interesting but basically ingenious combination of pecans and green olives. Do you have some family members who can’t or choose not to eat meat, but your traditional family recipe has always involved turkey cooking and gravy? Well, adjusting the recipe without losing the flavour everyone loves or making an additional meat-free dish doesn’t have to be a hassle at all! 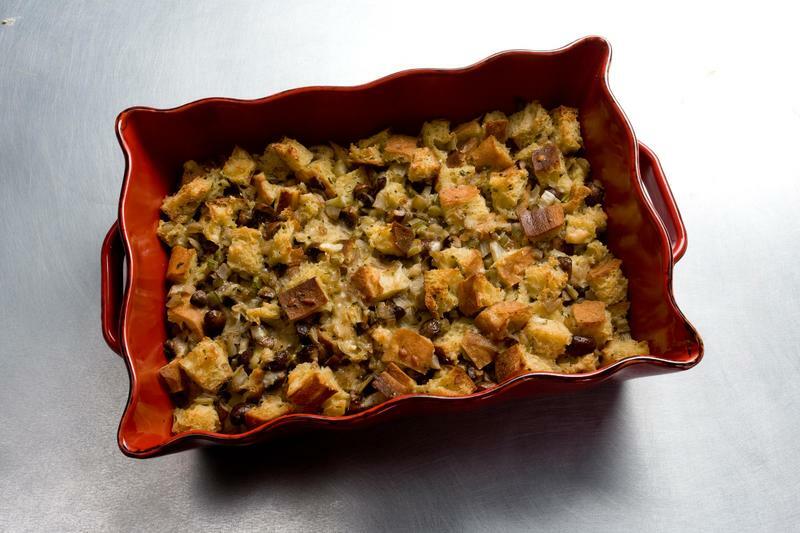 Check out this shockingly simple but completely delicious (seriously, we’ve actually tried it) vegetarian stuffing recipe from The Cottage Market. Perhaps, even though you’re a big Thanksgiving fan, your real favourite meals have always been seafood dishes? Then we think you’ll love this extra unique stuffing dish from Chow Hound! 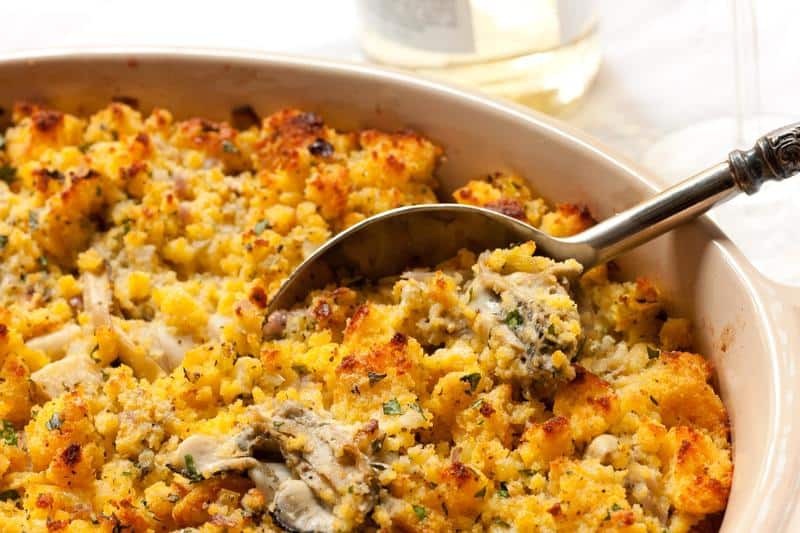 They show you how to make a cornbread stuffing, which might not be anything new to you, but instead of adding raisins or pecans, they made theirs with mouth watering smoked oysters! Have you already got all of the “adult dishes” sorted out and ready to make but you usually try to incorporate some type of slightly novelty “kid dish” on the menu to make sure the little ones have a familiar flavour and really eat enough at dinner? 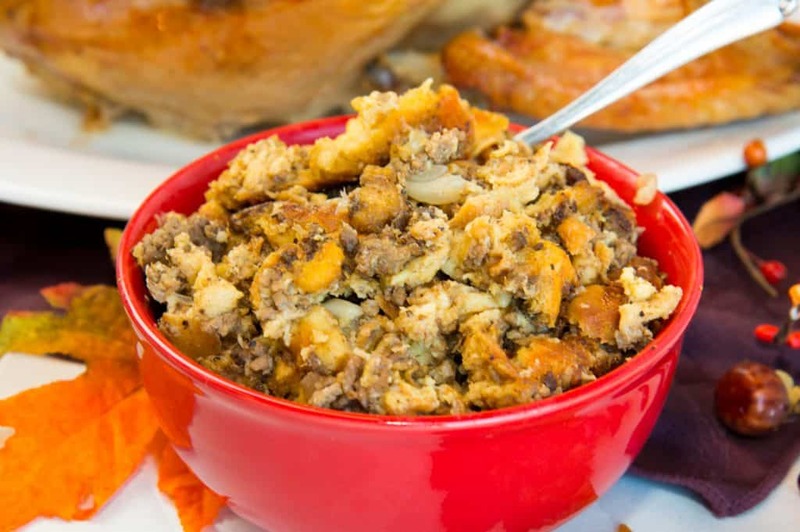 Then we definitely think you should give this hamburger stuffing a try! Potato Rolls shows you how to make it happen with hamburger meat and some fragrant spices. Perhaps you’re actually working through the holiday season and you can’t make it to the big family dinner this year, so you’re looking for something lightly Thanksgiving inspired but still delicious? In that case, here’s a funny meal that’s totally easy to make and will serve one or two, depending on how small your dinner will be. 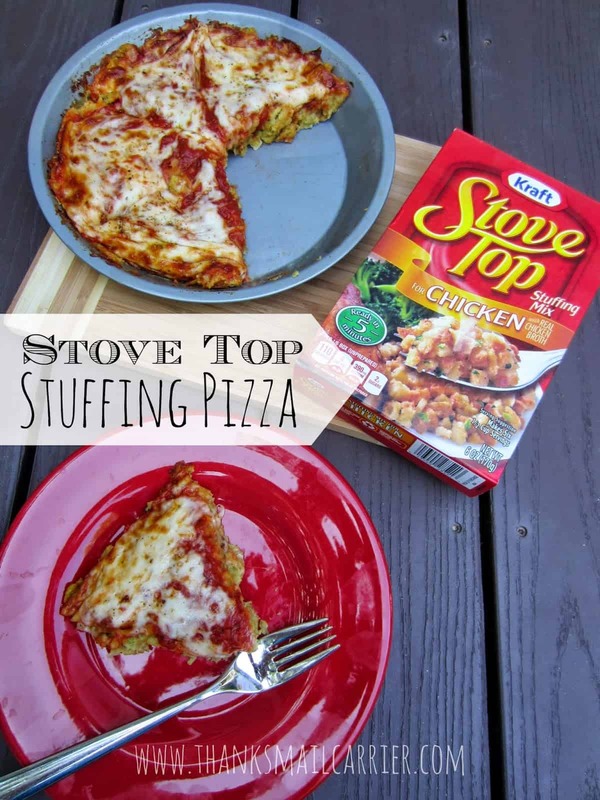 Check out how Thanks, Mail Carrier used store bought stuffing mix to create- get ready for it- a stuffing pizza. It’s like something overworked university students would dream of! 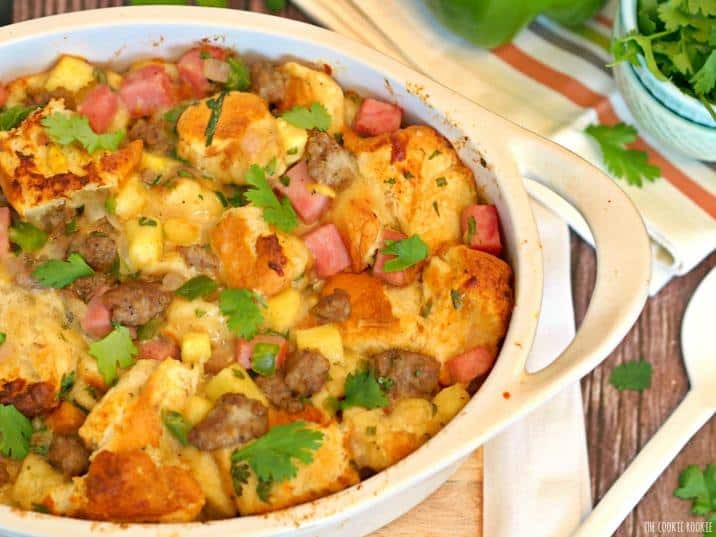 Perhaps you’re still thinking about the idea of a delicious bread pudding baked to perfection, but neither pineapples nor green olives are quite holding your attention when it comes to the recipes we’ve shown you so far? In that case, here’s a great alternative for you to try instead! 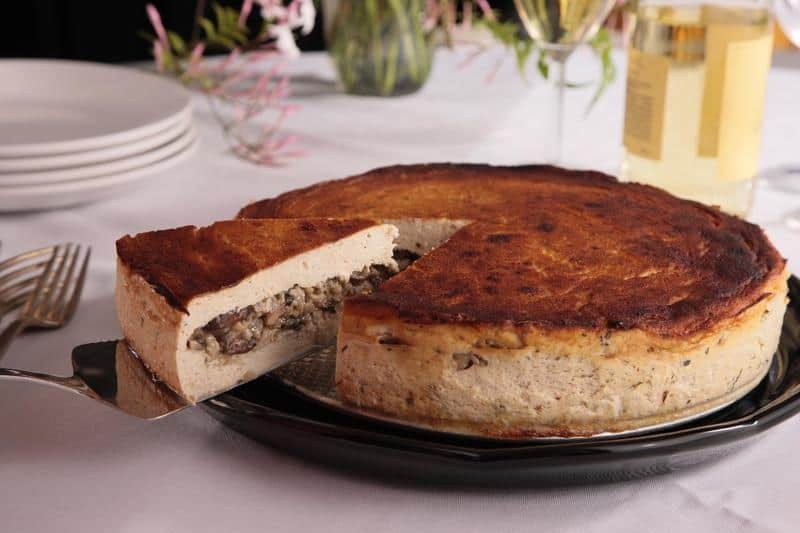 Chow Hound suggests putting mushrooms in your bread pudding to give it some satisfying substance and then adding fennel for some extra great taste. Are you actually a huge meat lover who will incorporate as many different kinds of meat as possible into your meal at any chance? Our family often does turkey and ham (we know that technically ham is really more of an Easter tradition, but it’s just too good to pass up), but sometimes we make side dishes that give us even more options! 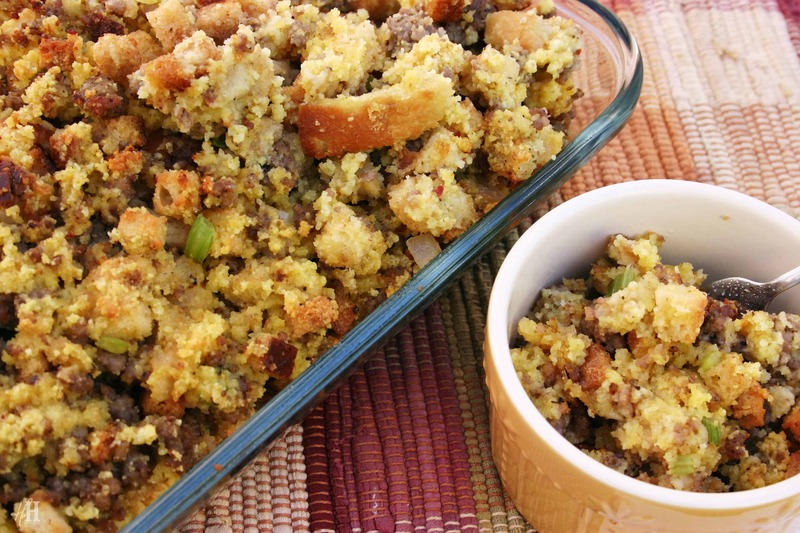 That’s why we loved discovering this delicious sausage stuffing recipe from Potato Rolls. Does your family practice the tradition of making a sweet side dish with your entrée before the dessert even arrives to the table? Then we’ve got a great alternative, just in case the most common ambrosia salad isn’t an option because you don’t like marshmallows. 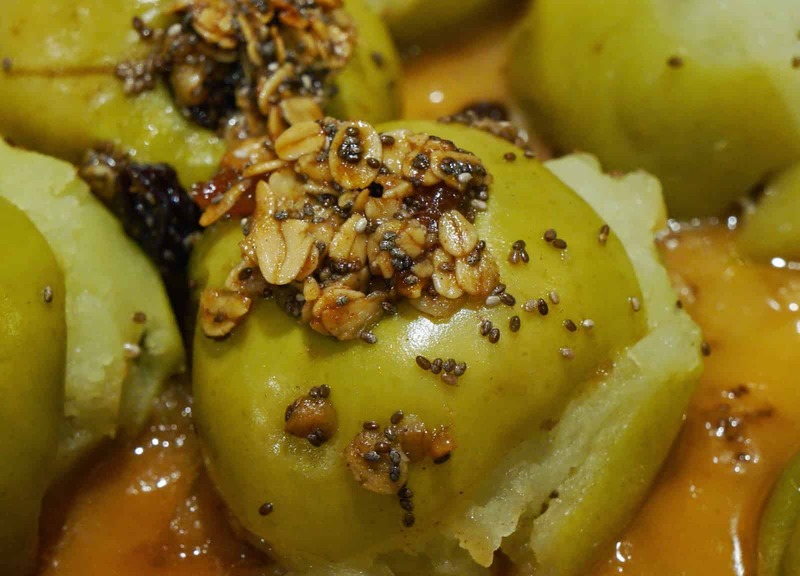 Crafty Cake Creative guides you through the process of making stuffed baked apples filled with a sweet, tasty granola mixture. Perhaps someone attending your meal is vegan and you want to make sure that they have enough to eat and get to try something delicious, rather than just picking their way around the vegetables on the table and ending up still hungry at the end of the meal? Then we definitely think you should check out this delicious tofu turkey alternative! We love the way Chow Hound stuffed their “tofurkey” with a fragrant vegan stuffing to really make sure everyone’s left satisfied. In addition to your mashed potatoes, are you always a big fan of serving sweet potatoes as well, but you want to make sure the two dishes are too similar so that one doesn’t get eaten? In that case, we think you should take a look at these incredibly delectable twice baked sweet potatoes from Edesia’s Notebook! The filling is flavoured with orange and cinnamon to bring a really unique fall taste to your plate. Are we really catching your attention with all of these delicious stuffed recipes but you just haven’t seen the one yet that’s quite calling your name? Then here’s one last attempt to really help you out! 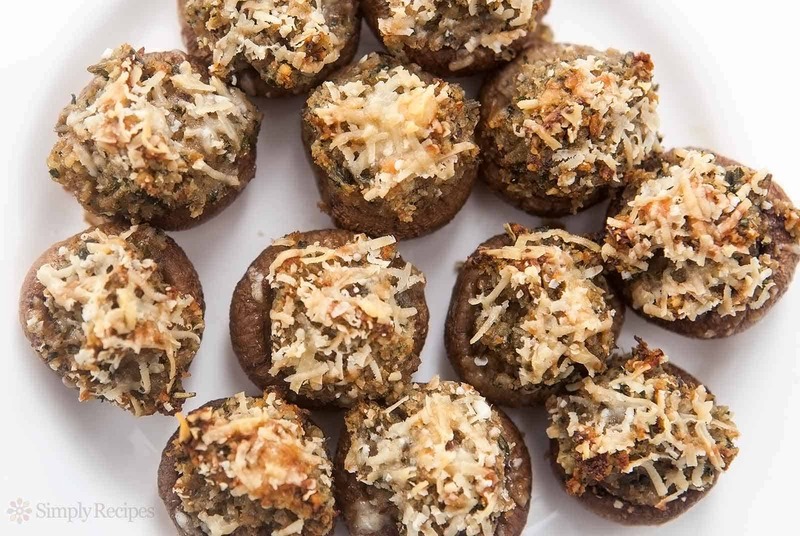 These stuffed mushrooms make the perfect bite-sized side dish and you only need one or two to make sure everyone gets a taste of that delicious combination. 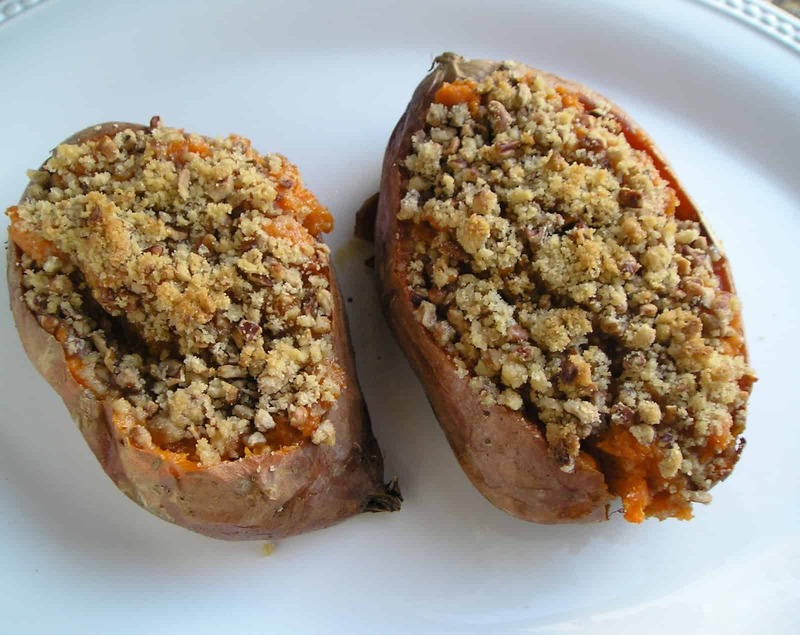 Simply Recipes shows you how to stuff and bake them with a filling made from shallots, garlic, walnuts, breadcrumbs, chopped mushroom stems, and parmesan. 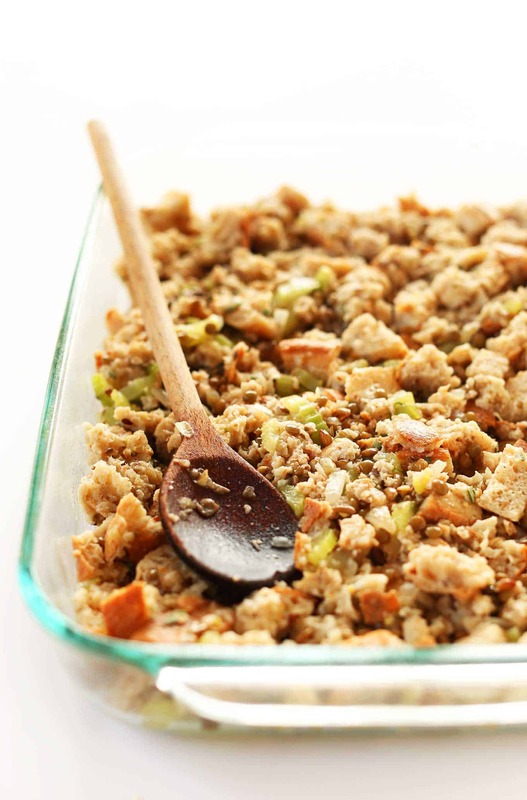 Do you have another favourite Thanksgiving stuffing recipe that you make every year and that your family just can’t get enough of, but you don’t see it on our list? Tell us all about it or link us to your recipe in the comments section!